PAMPER AND REFRESH YOUR SKIN WITH OUR NEW SPIEZIA TREATMENT – THE RELAX & REJUVENATE UPLIFTING FACIAL. This renowned facial uses pure organic products for a sensory euphoric treat for the face and mind. The 75 minute treatment will leave your face toned and skin looking and feeling radiant. 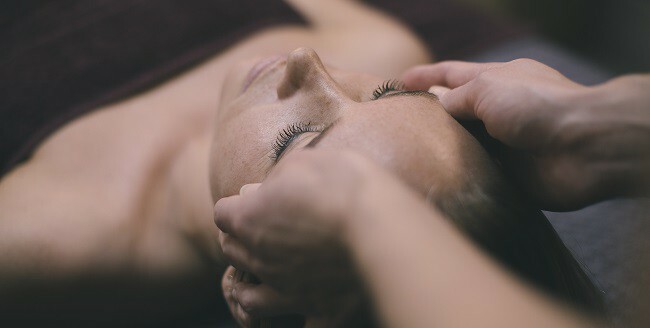 It is like an acupuncture facelift using a special combination of massage techniques from India (Ayurvedic) and Japan (Anma). The intent of this natural uplifting facial is to prevent and reduce tension, facial wrinkles and age spots, improve the complexion by encouraging the circulation, and release toxins from the facial area. Save £10 this month and enjoy this treatment for £70 – just call us on 01326 312440 to book.